Former Foreign Affairs minister Shah Mehmood Qureshi has said that it is time to seek fresh mandate from the masses and asked for an unbiased and an independent Election Commission for general elections in the country, a private TV channel reported on Tuesday. Talking to journalists at the Multan airport, he said that he had resigned on January 30, when President Asif Zardari forced him to give immunity to Raymond Davis, the American national. Qureshi noted that he would announce his future plan on November 27 in Ghotki. “I quit the portfolio by myself,” he said. The former minister demanded early polls, saying it was time to seek fresh mandate from the masses. 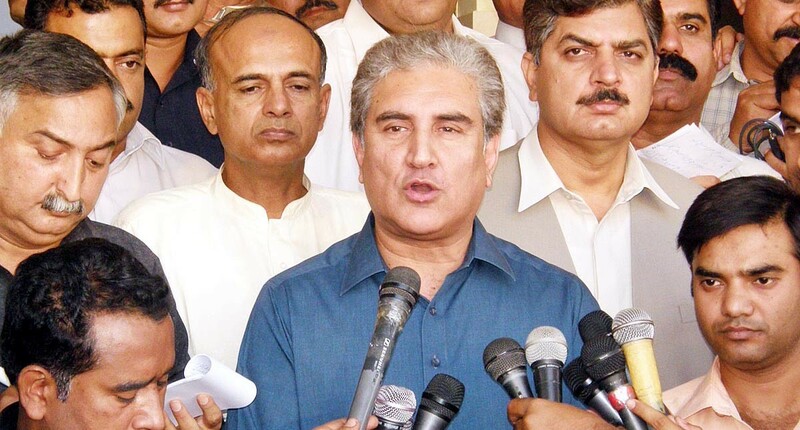 “The present setup lacks the ability to solve issues faced by the country,” Qureshi said.